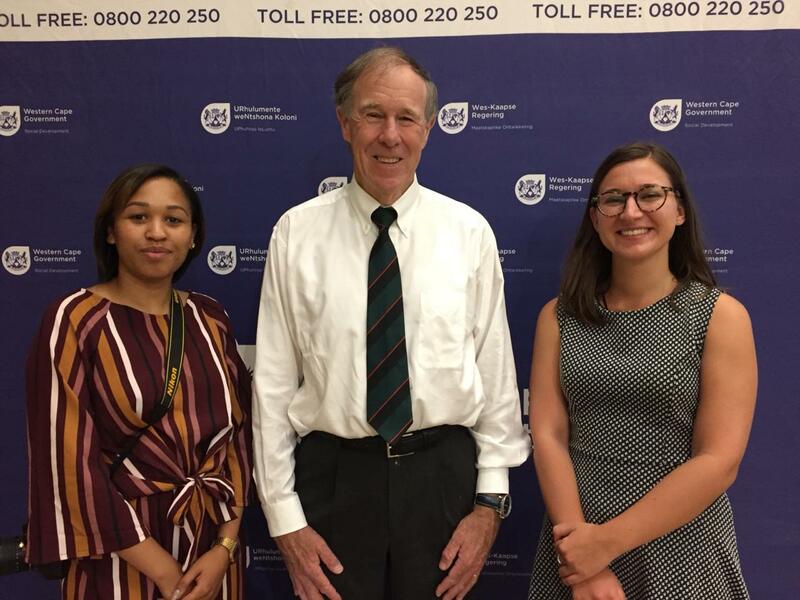 On the 20th of February, The Noakes Foundation had the privilege of hosting a workshop on nutrition with the minister of social development. “We have wanted to work with state welfare and healthcare for so long on our mutual visions of supporting a better, healthier country through our understanding of how to dramatically improve lives, with simple dietary and mind set changes” as stated by Jayne Bullen, COO of The Noakes Foundation. The workshop’s focus was on how to prevent chronic disease and increase productivity. In the words of MEC Fritz, “ the workshop exposed our interns to new ideas about food and nutrition while showing them that they are not defined by their circumstances and that they can achieve what they set their minds to”. We are overwhelmed by this statement as it is at the heart of what we do, specifically what we do at Eat Better South Africa (EBSA). In saying this, we are impressed by the quality of people that we worked with on the day of the event and are so excited to collaborate further on a state and governmental level. Moreover, the talk discussed the issues associated with leading a sedentary lifestyle and of course, having a poor diet. The aim is to create a blazing awareness around this, to encourage people to eat better and inspire our young people to do this as well. We are placing value on what matters and making sure everyone knows about it! Having the minister of social development recognise this and choose to align with us as The Noakes Foundation is an amazing honour and privilege and we know our efforts are being noticed. Our mantra at The Noakes Foundation as well as Eat Better South Africa, is to educate people about health and nutrition. Through the EBSA interventions, we educate under-resourced community members about the dangers of excessive sugar and carbohydrate consumption, and to teach them how to make better food choices through dietary education, meal and budget planning, and general nutritional awareness. We strive to unpack this in a way that is relevant and attainable as we are aware that this means different things to different people from different walks of life. Instead of seeing this as a separator, we embrace this because we know that good health is for everyone – not only those who can afford it. We are so proud to have our game-changing affiliates onboard who work tirelessly to develop food alternatives for people, specifically those who are marginalised and have more limited access to healthy food. In saying this, we would like to congratulate and acknowledge Banting Boulevard, our affiliate and co-creator of Heba pap, for their contribution at the event. Heba Pap was created as a healthier, more nutritious alternative to the carbohydrate laden traditional maize meal that has become a staple in many households. Each intern received a bag of Heba and were also treated to tasters and a demonstration of the various ways Heba can be prepared. Our dream is to have more brands rise to the challenge and showcase their food alternatives in aid and response to the “Eat Better South Africa” notion. While we educate people to take care of their nutritional intake, we need to also stand alongside them as they commit to changing their diets and saying no to poor eating choices. As a brand affiliate, this is where you really shine and can make a difference in South Africa. Being an affiliate of EBSA provides a unique opportunity to develop nutritious, cost effective food solutions to get our nation eating better. By doing so, we not only focus on educating our communities on how to eat better, but are actively create solutions to make this change sustainable and easily integrated into everyday lifestyle. Stand with us as we help South Africa Eat Better.